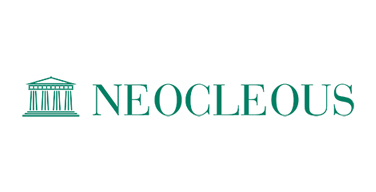 Andreas Neocleous & Co LLC is a long-standing member of the Employment Law Alliance (ELA), the world’s largest network of labour, employment and immigration lawyers. On 6 June we were delighted to welcome a delegation of about 22 lawyers of the European section of the ELA to our Limassol office. Our guests included employment lawyers from all over Europe, who took the opportunity to meet lawyers from our office, exchange best practices and enjoy a networking lunch hosted by our firm. ELA is an international alliance of separate law firms drawing together leading employment, labour and immigration lawyers in more than 135 countries. ELA provides multi-state and multi-national companies with seamless and cost-effective services worldwide and has a deep familiarity with local laws and courts. It is an alliance which is driven by quality, and all firms which wish to join its ranks go through a rigorous due-diligence process before being considered for membership. Elias Neocleous, partner and vice-chairman of our firm welcomed the delegation to Cyprus and stressed the importance of Cyprus both as an international business centre and as a European member-state with a well-established legal infrastructure and highly skilled legal professionals.